Raymond Toal, 77, of Burlington, died at 2:19 AM Wednesday, December 5, 2018, at the OakView Nursing Home and Rehabilitation in Burlington. Born October 11, 1941, he was the son of Carroll and Bernice Shunick Toal. On January 27, 1968, he married Mary Elizabeth Morgan at St. John's Catholic Church in Burlington. He retired in 2008 as the Maintenance Chief of Streets, Sewers, and Vehicle Maintenance from the City of Burlington after over 32 years of service. He graduated Monmouth High School in 1959, and Monmouth College in 1970, with a Bachelor of Arts in Business Administration. He pursued his Master studies at Western Illinois University in Public Administration. He served from 1963 to 1969 in the U.S. Army Reserves as a Drill Sergeant. He was Honorably Discharged with the rank of Sergeant First Class. He was of Catholic faith and was a member of Divine Mercy Parish. 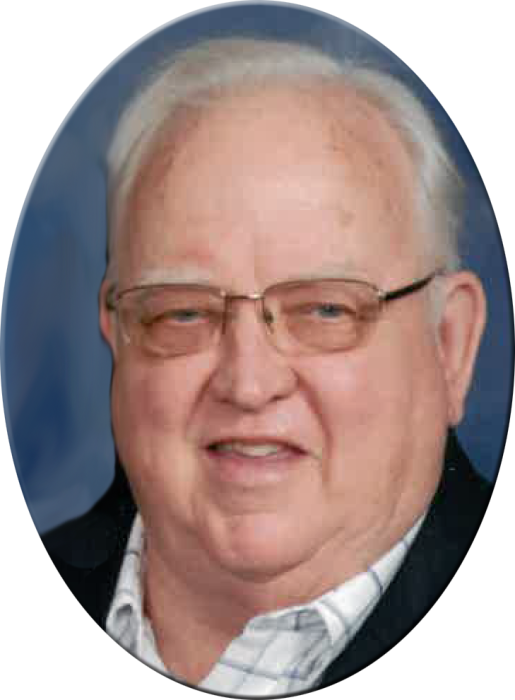 Raymond never missed Mass, and often sang in the Des Moines County Ressurection Choir. He was a member of the NRA, Knights of Columbus, and was active in the Boy Scouts when his children were young. He was proud to have helped his sons achieve their Eagle Scout Awards. Raymond was a fan of SCC Blackhawks basketball. He also liked to watch John Wayne movies and enjoyed hot rods and car races. Raymond's family remembers him as a good singer, enjoying eating cheeseburgers with his family at the Sombrero and for driving his "ugly" truck. Survivors include his wife, Mary of Burlington; his children: Marcy Morgan Toal of Burlington, Elizabeth (Bradley) Anderson of Iowa City, and Ben (Ashlee) Toal of Marion; five grandchildren: Casandra and Cody, (Morgan), Kayleigh and Maren (Ben and Ashlee), and Annette (Elizabeth and Bradley); his sisters, Ann Toal of Monmouth, and Kathleen Wagner of Missoula, MT; his brothers, Carroll Toal of Winsor, CT, and John Toal of Monmouth, IL; seven nieces, four nephews; numerous cousins; and a number of close friends. Visitation will be from noon until 7:00 PM, with the family to receive friends following a 5:00 PM Rosary Service until 7:00 PM Friday, December 7, 2018, at Prugh's Chapel downtown. The Funeral Mass of the Resurrection for Mr. Toal will be 10:00 AM Saturday, December 8, 2018, at Divine Mercy Parish-St. John the Baptist Catholic Church with Very Rev. Father Marty Goetz as the Celebrant. Music will be provided by the Des Moines County Resurrection Choir. Full military honors will be rendered by the Burlington Area Veterans Honor Guard. Burial will be in Sacred Heart Cemetery. A time of food and fellowship will be held in the cafeteria at St. John's following the burial. Memorials have been established for the Des Moines County Resurrection choir, St. Vincent De Paul food pantry and for St. John's Catholic Church front door restoration.